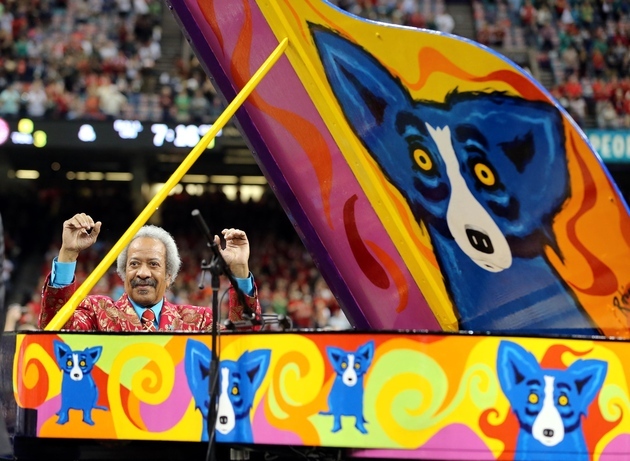 Allen Toussaint was a teenager when he first sat in on Earl King’s band and regularly scored gigs at the legendary Dew Drop Inn. It wasn’t long before he found his way to the center of the known Rock n’ Roll universe at the time, Cosimo Matassa’s studio, where he laid down piano tracks on recordings by Fats Domino, Huey “Piano” Smith, and Aaron Neville. But it was when he joined Minit Records that his creativity became apparent to the world. 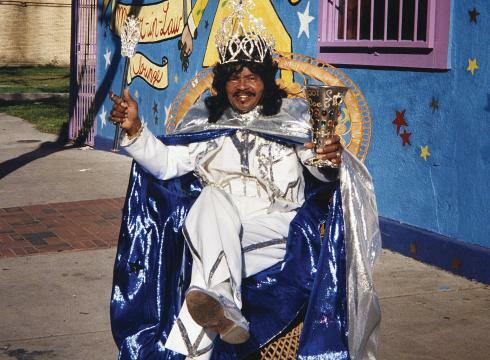 Using his parent’s living room as rehearsal space and testing ground for new material, he assembled a parade of hit singles by Jessie Hill, Irma Thomas, Lee Dorsey and this blog’s patron saint, Ernie K-Doe. Ernie K-Doe best recordings were aided by the songwriting, arranging and producing of Allen Toussaint. Later, he started his own record labels providing a platform for local and national musicians to access the New Orleans sound. With The Meters as his studio house band, Toussaint was a key force behind the New Orleans funk sound that developed in the 70’s. A prolific songwriter, his music has been performed by The Rolling Stones (“Ruler of My Heart”), The Who (“Fortune Teller”), Bonnie Raitt (“What Do You Want the Boy To Do”), Devo (“Working in the Coal Mine”), Al Hirt (“Java”), The Doors (“Get Out of My Life Woman”), Jerry Garcia (“I’ll Take a Melody”), Glen Campbell (“Southern Nights”), Robert Palmer (“Sneaky Sally through the Alley”), The Pointer Sisters (“Yes, We Can Can”) and many more. 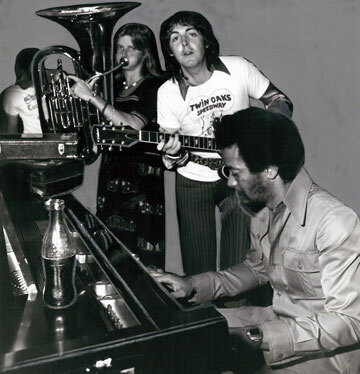 Linda and Paul McCartney performing with Allen Toussaint in his New Orleans studio in 1975. He was inducted into the Rock and Roll Hall of Fame in 1998, the Louisiana Music Hall of Fame in 2009, and the Blues Hall of Fame in 2011. If there’s any question of whether being a senior statesman of New Orleans music has diminished his chops, you need only look as far as his grammy-nominated, post-Katrina collaboration with Elvis Costello, “The River in Reverse,” for evidence that at 77, he still has it. This entry was posted in Festivals, New Orleans Performers, New Orleans Piano Players and tagged Allen Toussaint, Cosimo Matassa, Earl King, Elvis Costello, Ernie K-Doe, French Quarter Festival, Irma Thomas, Mother-in-Law, Paul McCartney, Professor Longhair, The Meters. Bookmark the permalink.